Cycling.5 of 5 to Clayton, about 3 miles (13 minutes) remaing. 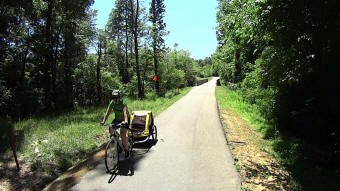 Pedaling by Clayton along the Neuse river, I seldom can see through the trees and thicket. It is a little disapointing. The return trip will originates from about Mile 31.5 on the Neuse river bridge. Surprise! An occupied picnic table on this very busy Neuse River Bridge. (Clip is 13:20 minutes.) Use the progress slider to skip sections. 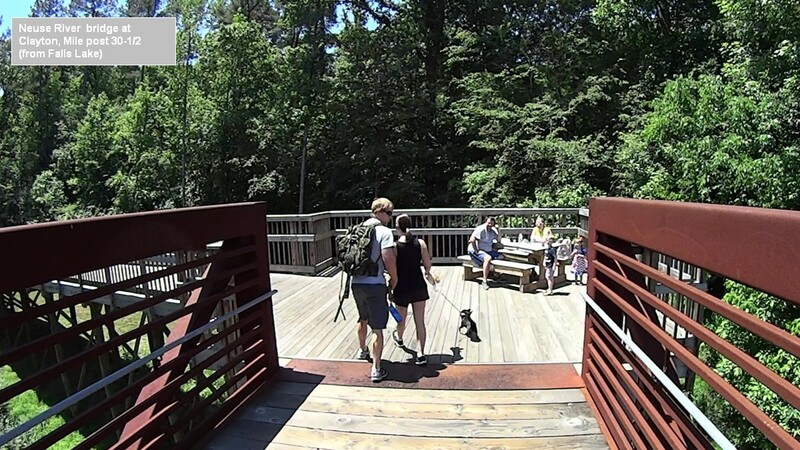 Clayton downstreame 5 of 5, Capital Area Greenway Trail System from Carl Roberts on Vimeo.